TSA plans to put new lying signs in airports | Papers, Please! TSA plans to put new lying signs in airports – Papers, Please! Does this indicate that there will be a new law ahead? 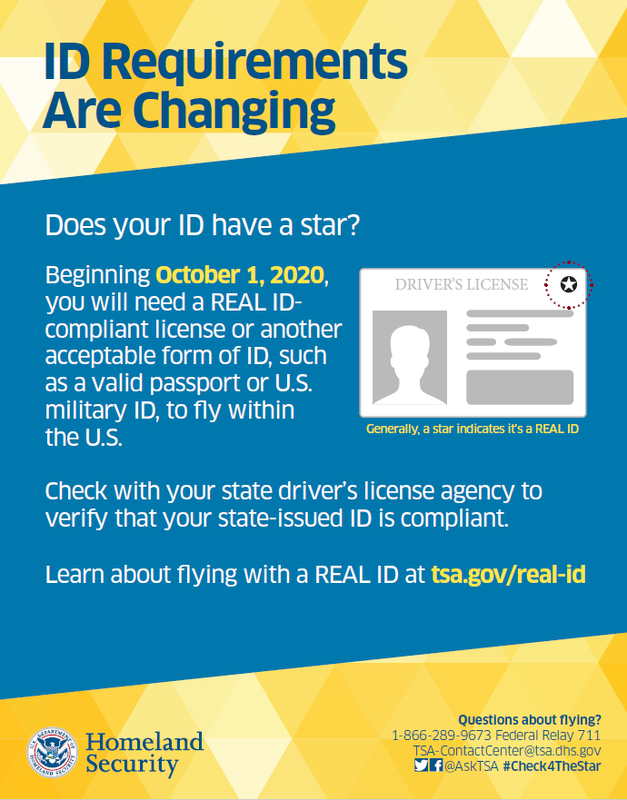 Real ID ACT of 2019? This tactic of signage may well be just to catch objections. The above two videos, come right out and say rules are changing as of 2020. This must mean that they will back it up with a new law; otherwise it will mean a collision on that date….court cases etc. I can’t wait to see what happens when the TSA demands citizens show them their smartphone digital Drivers Licenses! What could possibly go wrong? (1) I can VOTE but I can’t fly?! (2) Restrict travel — major step in dictatorships. “Integrity, Team Spirit, Innovation” the TSA Core Values is sewn around the border of the TSA patch. Have you ever seen an organization that had to SEW A REMINDER not to STEAL, LIE, and CHEAT on their own shoulders!!!! They STEAL from the “abandoned” items, BACK-STAB the PASSENGERS and their CO-Workers and “INNOVATIVELY” CHEAT on their own tests. Supervisors “alerting” one another to “Red Team” testing. FSDs demanding “special” treatment for their friends. TAKING “Voluntary” confiscated items home ………. Velcome to der Great United Soviet Socialist Satanic Stasi States of Amerika. Komrades! Each of these Agency’s trying to out do the other to gain from the Lord God Rothschild and his gang of murderous thieves, a nod or a few dollars more. What a bunch of traitors they all are, relatives to some Government paid for sell out, a person that can be used to change something about society that doesn’t need changing, that shouldn’t be changed, a token, or just a stooge. Forgive them father, they know not what they do! BS, they know exactly what they are doing, they are Freud’s dream come true, Pavlov’s dogs, except dogs are so much better than any of them, loyal, faithful, whereas these scum bags are anything but. Oh yeah, deprive a human long enough and they will do anything to catch up, so we have all these third rate humans today, running all these Government turn coat agency’s, willing to do anything they are told and just so they can think, they are the man! What a terrible, bloody, joke on all of us, the Leadership and their Government is. When the soldier refuses to kill the innocent, when the police refuse to enforce unjust laws, when the school teachers refuse to teach little children lies, when the citizens in all the agency’s refuse to sell out their fellow citizen, then we might see some changes for the better. Until this is the norm, though, count on things becoming unbearable.